Done driving lessons with Grant and passed first time then completed the pass plus. Extremely recommended, taught me everything I know and has amazing patience. Grant got me from a terrible level of driving to a first time pass in a matter of months! Absolute brilliant! Highly recommend!! My daughter had previously had a different driving instructor, but switched to Grant on a recommendation. She said he told her so much useful stuff the other instructor had never mentioned - and she passed first time! Can't ask more than that. Craig – 5 starTaught my wife to drive, he must have the patience of all the Saints!!! Milan – 5 starGrant is a great instructor, helped me pass first time. Grant is very knowledgeable, patient, calm and most of all a great teacher. Thank you again Grant! Passed my test today, can't thank Grant enough would recommend to everyone! Thank you! Thankyou grant for being a top instructor! Woohoooo passed my test would recommend grant to anyone loads of patience! Thankyouuuuu! 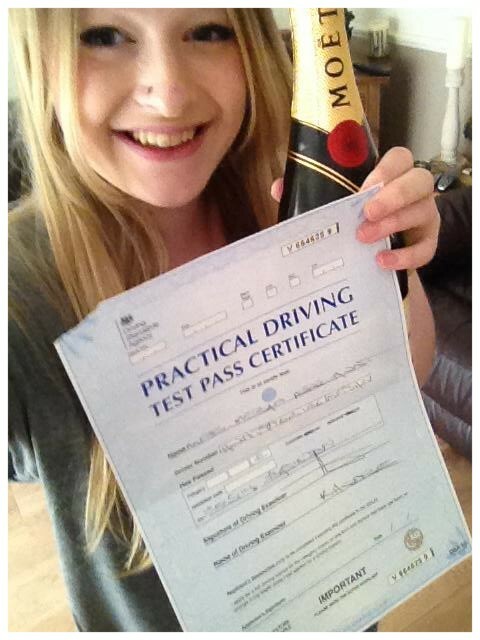 Megan Hunt Passed 1st time this morning thanks to Grant's words of wisdom and superstitious coffee! Cheers! Grant's approach to teaching is head and shoulders above other instructors I had tried before. A very welcoming and encouraging person, he tailors his approach to the individual he teaches (having spoken with several friends who have also learnt with him) and puts the student at ease using humour and effective training tools. I would completely recommend Grant to anyone wanting to learn to drive, I was recommended him myself and am very glad I found him!Grant has a way of putting nervous drivers like myself at ease and explaining procedures easily without being patronising. I felt completely at ease when driving with Grant - he is very friendly, professional and very good at his job. Completely recommend, thanks Grant! Great professional driving instructor, knows exactly what he is talking about and knows exactly how to teach you to drive! I passed first time with this guy! Thanks for everything Grant! After having failed my first test and not enjoying the lessons with the instructor i was told about grant through another friend who said he was the guy to use.second time round i passed thanks to grants patience and perseverance in keeping me on the right track.i would recommend him as his approach to driving is very good,he even has a great sense of humour which helps in making you feel comfortable.thanks grant! Grant’s Driving School gave me the confidence to succeed! As a nervous driver Grant gave amazing encouragement. He is committed to providing the necessary and essential skills required to drive positively. Grant is professional and very friendly, I felt at ease whilst learning in his company. He is thoroughly patient, helpful without being condescending or patronsing. A truly wonderful driving instructor! I passed and I am forever indebted to him! I was taught by grant for over a year and thoroughly enjoyed the whole experience with him. He made me feel at ease when I first started driving and helped me to feel confident when it came to manoeuvres and general driving. His techniques and ways of teaching were really successful and he says things in a certain way to make them stick in your mind. I failed my first test mostly because of nerves, however I carried on having lessons with Grant and he went through where i had gone. I booked my second test for shortly after and passed with nine minors. He is a friendly and funny man, who was a great teacher! Thank you Grant! Having already failed my first test after being taught by a national driving school I was ready to give up until a friend recommended trying Grant. I found him to be very patient and he identified and worked on my weak spots. After just a few lessons I had the confidence to give the test another go and passed. I would recommend anyone goes with an independent instructor and if you live in Basildon go with Grant! Fantastic driving instructor, very helpful and helped me pass first time! Grant is very friendly, polite and is very committed on your progress of learning how to drive. Very happy I chose to go with Grant’s driving school. Would highly recommend! I would completely recommend Grant to anyone wanting to learn to drive, I was recommended him myself and am very glad I found him! Grant has a way of putting nervous drivers like myself at ease and explaining procedures easily without being patronising. I felt completely at ease when driving with Grant – he is very friendly, professional and very good at his job. Completely recommend, thanks Grant!